It’s been an interesting couple of weeks. 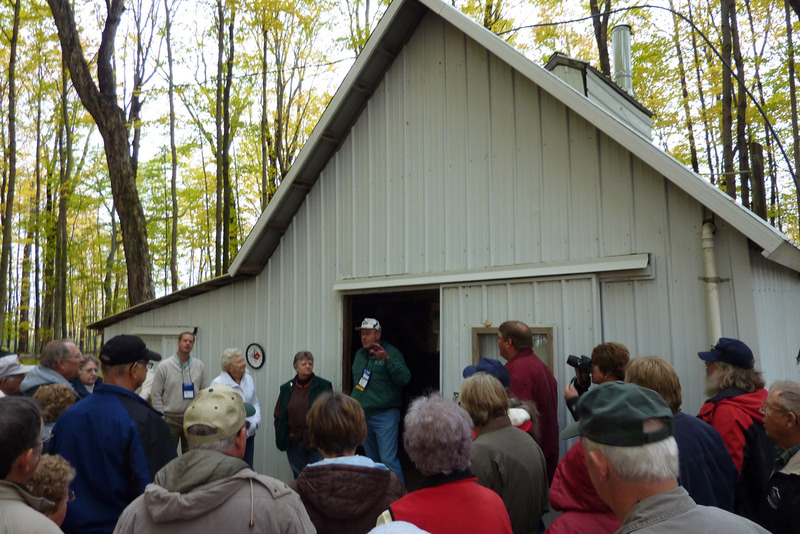 Oct. 21st we set off to Michigan for the annual North American Maple Producers Conference in Frankenmuth, Michigan. The trip out found us meeting a maple producer in Emlenton PA named Joe of Old State Farms. He is a great guy working for The Hardwood Mall in that town which is quite a place to see. Look them up online if you get a chance. But he showed us his new evaporator and a quick tour of the sugarhouse. But he also mentioned his pal Pat would be at the conference. So sure enough we met Pat and his wife of Frost Ridge Maple. Super folks to know and looking forward to seeing them again. 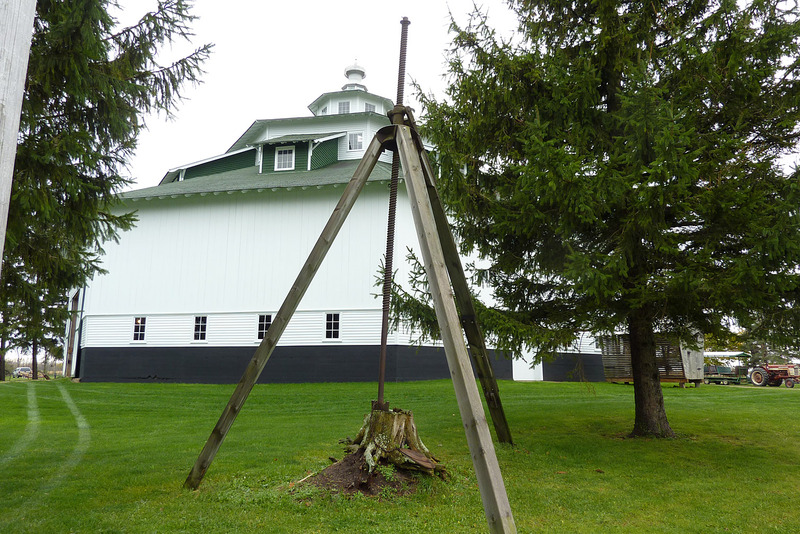 We also got to tour a sugarhouse, a wind farm, the Octagon Barn, visit the Henry Ford Museum and a sugar beet processing location. Sugar beets are in season for harvesting now and there are miles and miles of acres of sugar beets out there. Did you know 40% of our table sugar comes from sugar beets not just sugar cane? One thing I can tell you is that making maple sugar is much, much easier!!! On another note I am proud to say the Brian took first place in one of the photo contests. The category was “Maple People on the Job” and the photo that won is the one on our home page; Brian’s self portrait of tapping. How cool is that! We are pretty tickled to say the least when you have entries from many of the 14 states and provinces to be judged against. The week ahead is going to be all about wreaths. Looks like Wednesday Brian will head north for the first cut of balsam to start making wreaths. The next few weekend my Mom and I will plan the decorations and we’ll start assembly the weekend after Thanksgiving. We’ll be busy, busy, busy for sure.